My local library has been doing a great job surprising me with books that I didn’t know I needed, but needed badly. 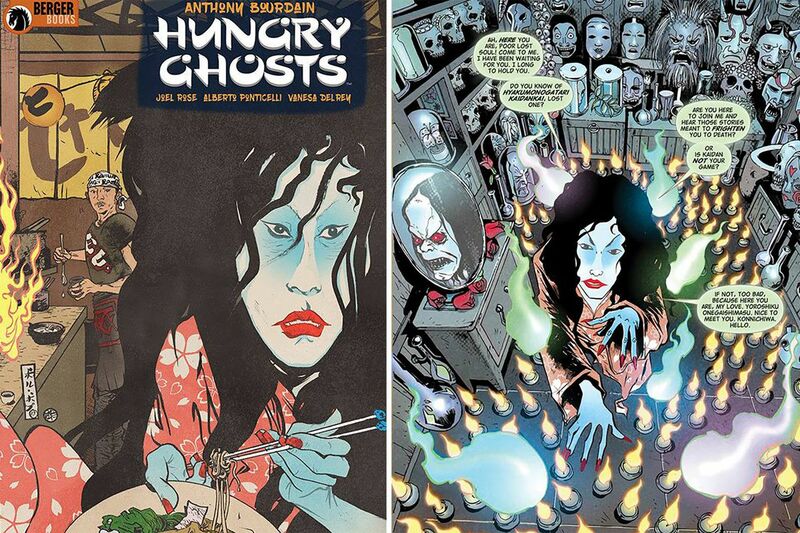 I was shocked to discover that the late, great, Anthony Bourdain actually wrote a comic book called Hungry Ghosts. Based on Japanese mythology but with a modern twist, this book is about several chefs telling ghost stories. As you’d expect from Anthony Bourdain, each one is food related, but also shares a love of culture and the macabre. This is a fantastic book. The stories are definitely well told, and I’ll be honest, it was a bit cathartic to get this book after his death, filling a bit of the void he’s left. If you’re a fan of Anthony Bourdain, ghost stories, or graphic novels in general, check this out.